An analogue carol for the festive season. Featuring a Roland Super Jupiter, modular and EHX Poly Chorus and Stereo Memory Man w/ Hazarai. 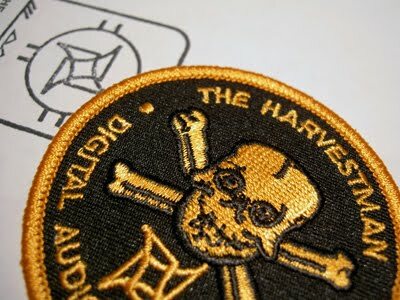 Patch of the Day - Or What? Ever wondered what else that OR socket on your Maths might be good for? In the first example, I manually adjusted the positive scaling of two sequences. In the second take, I replaced one sequence with the stepped out of a Wogglebug. When the WB's output is higher than the sequence, a random note is added to the output. 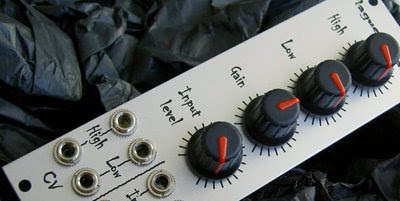 Doepfer's Min/Max has the advantage of being able to process both positive and negative voltages and can be used to generate odd waveforms. 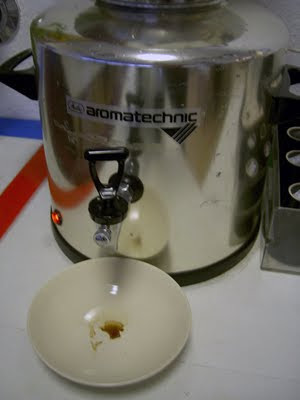 See the product page and manual for more ideas. If you're in Berlin this Thursday, the TU Studio is showing Forbidden Planet as a Christmas special EM Hören session. With music by Louis and Bebe Barron, it's sure to be a treat for all electronic music fans. Thanks to Penko for the tip-off!. TU Studio address and directions here. Having entered the machine, you're given a pair of noise-canceling headphones. The classical music that is piped through these is supposed to calm and distract you from the grunts and buzzes generated by the scanner. Don't know which device was responsible, but the kick and hi-hat pattern was a bizarre counterpoint. Sort of like a Clockwork Orange warehouse party. Someone with a sense of humour at Siemens, the company that built the contraption, decided to call it 'Harmony'. The nurse told me that the larger unit is called 'Symphony'. 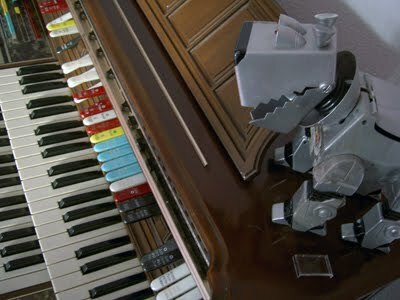 The patch features four voices: kick and hi-hat, ring modulated squarewaves, FM klunk and some 'ducked' classical music. Although I managed to use up nearly all of my patch cables, it was actually fairly straightforward. 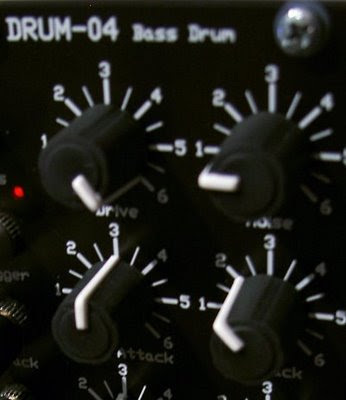 Drums: MMF-1 sine wave kick, M12-filtered-noise hat. 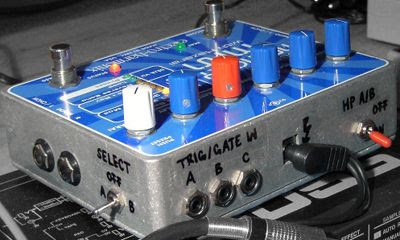 LFO provides rhythm, VCS provides gate delay for 'swing'. Buzz: Wogglebug stepped out provides slow pitch changes for VCO-2RM. Two square waves, with a touch of XMod and manual pitch and PWM tweaking, are output from the ring modulator. Timing is generated by the burst out of the WB which is patched to a clock divider. The /8 gate signal triggers one Maths channel. An inverse /8 gate is fed to a second Maths EG so that the klunks are timed to occur after each buzz has sounded. Klunk: M15 & AFG lin FM plus some pitch woggle and envelope thwapping from Maths and the mix out of an A-143-1. 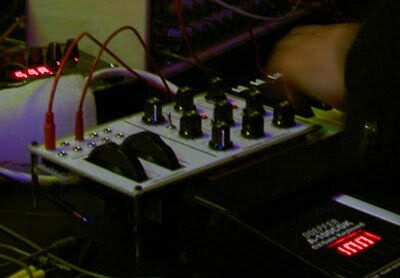 Maths' EOC used to trigger the Doepfer, klunk gated by M13 LPG. Classical: Borg-filtered with a bit of FM from the combined buzz & klunk CVs. Vactrol speed in evidence as the CV takes a while to fade away from it's peak. Ducking: this was achieved by sending the classical sample to the first channel of an A-134-2 VC Xfader, the audio mix of buzz and klunk to the second and applying the combined buzz and klunk CVs to the (asymmetrical) Xfader. Hope you enjoyed the sounds and remember to look after yourselves! This PotD dedicated with thanks to the docs and nurses. A few impressions from Ken Macbeth's workshop at Schneiders Buero last night. 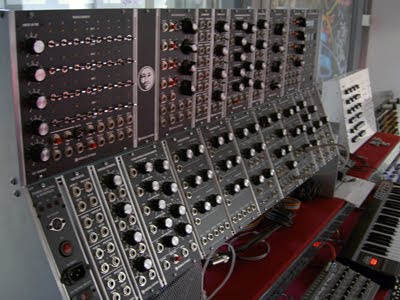 Ken showcased his new Euro-format modules & CV keyboard prototype, discussed the pros and cons of discrete vs. surface mount designs and left us sick with envy with the tale of how he 'liberated' an Arp 2600 & Synthi AKS from his local music college. Thanks to Ken and Andreas for a memorable evening! 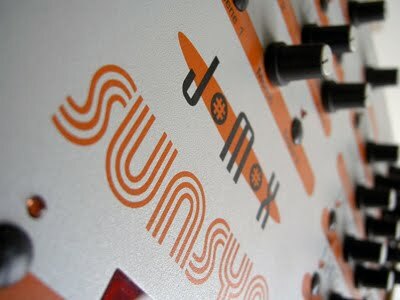 I took my SunSyn to Jomox in Kreuzberg today for the 2.0 update. Like many users, I'm looking forward to the improvements but also concerned that some of the SunSyn's 'characteristic' (or should that be 'idiosyncratic'?) sound might be lost. 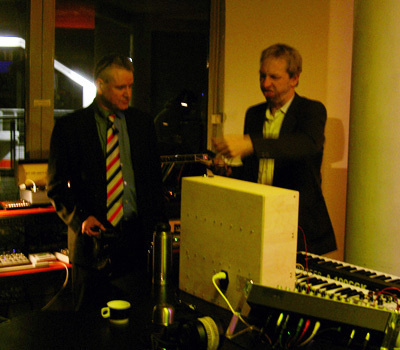 Jürgen reassured me that the sound will remain the same and was kind enough to show me some of the new features. Besides improvements to the arpeggiator and portamento functions, the RCOs have been completely overhauled and even allow FM. This sounded fantastic and greatly enhances the SunSyn's sonic palette. I hope to have my SunSyn back in two to three weeks - I'll let you how the upgraded synth sounds then. Featuring the Plan B Model 23 Analog Shift Register. 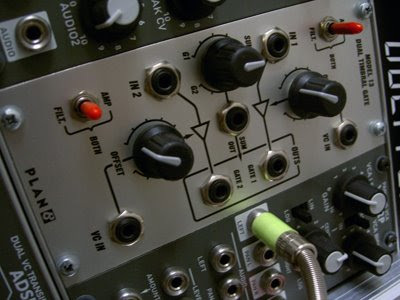 In this patch the M23 was used to shift a quantized sequence to a pair of detuned VCOs, the 'both' input of a Bananalogue/ Serge VCS and the CV input of a VC-LFO. The sequence was transposed by the stepped output of a Wogglebug. A sequential switch was used to alternate between a 'regular' and voltage controlled clock. The switch was triggered by a comparator reading the output of a second random source. I tried to keep the patch description as simple as possible, but for those of you who want to try this here is a patch chart. 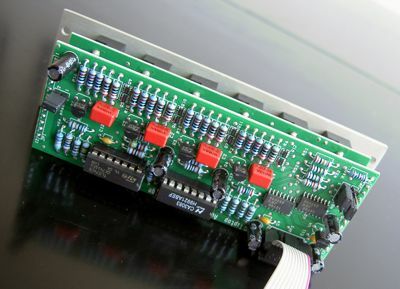 The A-147 VC-LFO acts as the master clock and feeds the SQ8, which sends a gate to the VCS (or Maths). The envelope generated by the VCS is patched to the output VCA. In my patch I fed the two VCOs to a separate mixer (VCA-4MX) before the final VCA (VCA-2P), but for simplicity I've shown an A-131 in this chart. The sequence generated by the SQ8 goes to an A-156 quantizer, the CV goes to the ASR and the trigger output of the A-156 clocks the ASR. 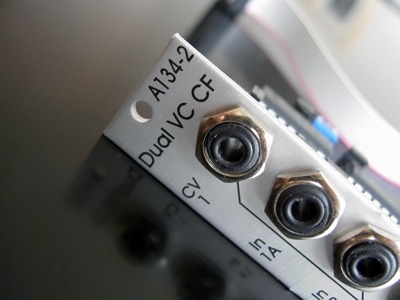 From there, output one goes to VCO1, output 2 to VCO2, output 3 to the second input of an A-151 switch and the last output feeds the 'both' input of the VCS. the 'step1' output of the SQ8 clocks the Wogglebug. In turn, its clock output steps the S&H/ noise. 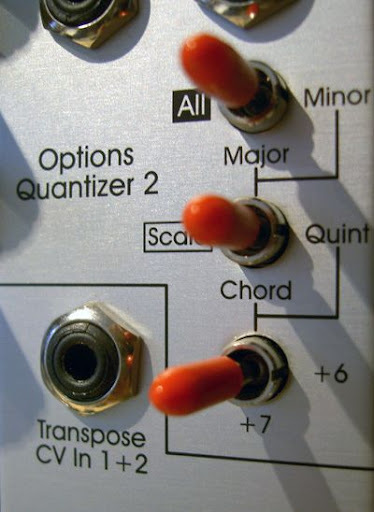 The Wogglebug's stepped out feeds the transpose input of the quantizer. At the beginning of the patch I kept the randomness to about 9 o'clock, towards the end I swept it up manually and then back to zero. The SH-NZ output feeds an A-119, which I've used as a comparator. Depending on the gain & threshold settings you can generate an amplitude-dependent gate. As the A-151 feeds the CV-in of the VC-LFO, the gate toggles the switch between 'regular' and VC-clock. As an alternative, you could use a VCA to alter the amount of VC-clock or, indeed, alter the CV amount manually. 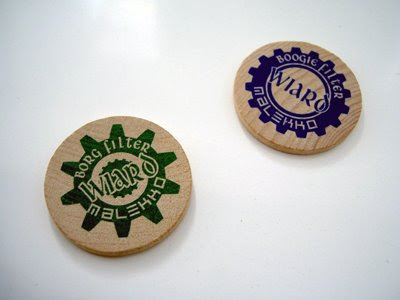 If you don't have a comparator or A-119, you could use the burst output of the Wogglebug. I sometimes find this too frenetic, so I send the burst gate to a clock divider to calm it down a bit! Breaking with tradition, there's no new gear in this first anniversary post. Instead of modules, I've got some literary inspiration for you and the environmental sounds that most of us try to eliminate or ignore. Pictured above are some of the books I got for my birthday recently (life begins now, apparently) - interestingly, these gifts were all from women, bless 'em! 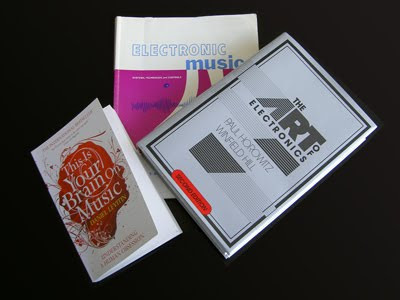 Allen Strange's 'Electronic Music' needs no introduction and Horowitz/ Hill's 'Art of Electronics' is considered by many to be a standard. Showing my ignorance, I hadn't heard of Daniel Levitin's 'This Is Your Brain On Music', but it has been a real eye and ear opener. All three are highly recommended. 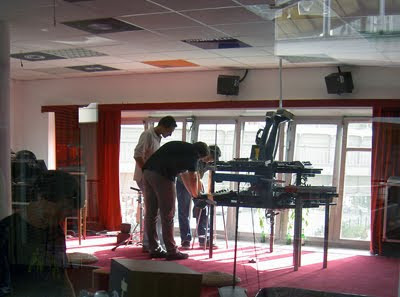 OK, so my studio isn't that loud. I cranked levels on the desk, turned the monitors up and limited the recording. The loudest pieces of equipment are the Space Echo (unsurprisingly) and the Sunsyn's cooling fan, which you can hear panting away at the end of the take. Time for that 2.0 update. 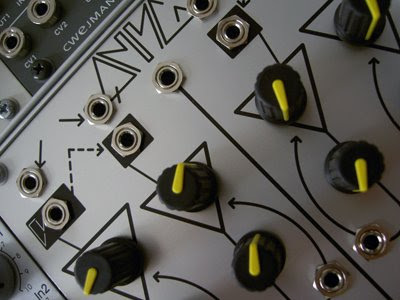 It's been a great year for modular synthesis with loads of exciting new kit and technology. I've tried to get my hands on as much gear as I could (thanks!) and feature it on the blog. I hope you've enjoyed the posts so far and that you'll continue to visit the site and leave your comments in the coming year. 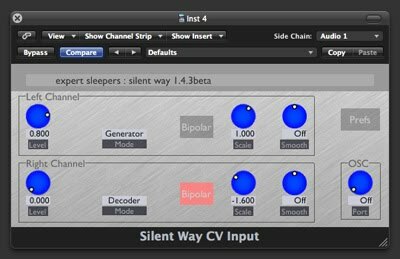 I've been using Expert Sleeper's Silent Way to control my modular for the past two weeks. This is a flexible and fast-growing suite of plug-ins which generate control voltages. Like MOTU's Volta, it also features an oscillator calibration routine. 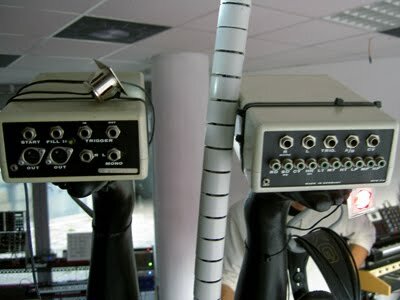 Two voice patch, panned left (initial gate) and right (gate echo). Logic's Delay Designer was used to create three clean, tempo-sync'd taps. First you'll hear the four-note sequence 'dry', then with the gate echos triggering voice two. In both these instances, the initial gate steps the analogue sequencer. In the last two measures I used the echos to clock the sequencer. Similar Idea, but using Silent Way to generate an envelope rather than a gate. Processed LFO to VCO pitch. First dry, then bit crushed, then quantized using Logic's Grooveshifter, then both. Pitch CV slewed with Logic's Auto Filter. The filter was modulated by its own LFO. First unprocessed, then wah'd with a quarter note triangle, then burbled with a sixteenth note random/ S&H. Thanks to Expert Sleeper Os for getting me thinking about processing CVs. Live, four-voice patch with manual tweaks. Self-oscillating Cwejman MMF-1 dual-peak sine modulated by WB smooth out. A-Sol SH-NZ noise to Plan B Model 12 HPF, VCA VC'd by Doepfer A-147 VCLFO sine, itself VC'd by the output of a A-156 Quantizer. Ring Mod output of a VCO-2RM filtered by a Malekko/ Wiard Borg, envelope from Bananalogue/ Serge VCS VC'd by Woggle out. M15 VCO (linFM) gets WB stepped, gated by M10 envelope which is triggered by WB burst and VC'd by stepped out. M10 EOC to A-142 envelope which provides the voltage which is then quantized by the A-156. For those of you who couldn't attend the grand opening on Wednesday, here are a few pictures of the new Schneider's Laden. Located above the Kaiser's supermarket on the Kottbusser Tor in Berlin's Kreuzberg district, the new shop finally provides Andreas and the team with plenty of room to make some noise. 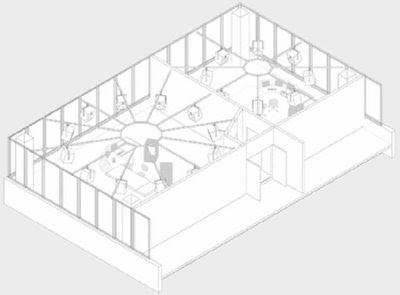 In contrast to the Klang-Keller on the Adalbertstrasse, the new premises are light and airy and offer enough space for a dedicated modular lab, main stage area, vinyl cutting room and offices. 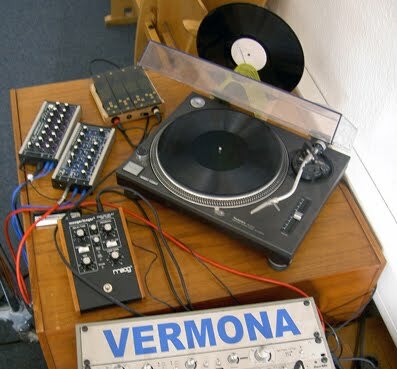 Among the new kit (Macbeth VCO, Moonmodular sequencers, Monorocket case), the shop is also littered with vintage drum machines, synths and test equipment all of which are plugged in and ready to play. ... just don't drink the coffee. I'll be performing live with Penko Stoitschev at the Ex'n'Pop this Saturday. 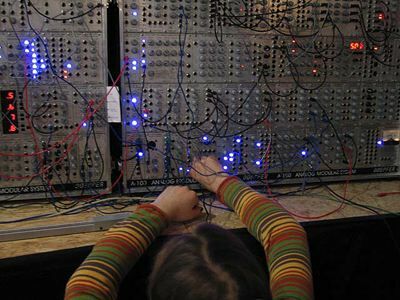 I'll be jamming on the modular while Penko plays some of his vast collection of field recordings, atmospheres and treated sounds. Sat. 12th September, 10 p.m. 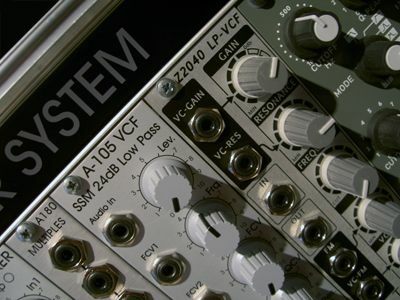 If you checked the Cwejman site recently, you might have noticed the addition of a couple of new modules, for example the VCEQ-4 & CRV-24 crossover filter. I got to play with a prototype of the latter when Wowa visited Berlin last Summer and was very impressed with the sound and possibilites. However, the module that has me most excited is the CTG-VC Complex Transient Generator as it is the result of discussions I've had with Wowa since that meeting. 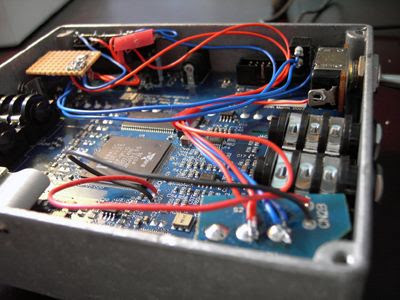 The idea was to design a compact, flexible envelope generator capable of both ADSR and AD functions. It offers variable slope shapes, is capable of looping the AD stages, has a hold stage for added punch and output attenuation/ polarization. 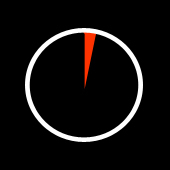 The 'zero restart' option resets the envelope regardless of whether the release stage has been completed. The only option that doesn't seem to have made it through to the final design is a CV-All input, which would allow for a 'key follow' effect, although this could be attained by multing the pitch CV to the relevant VC-ins. CTG-VC product page & PDF. 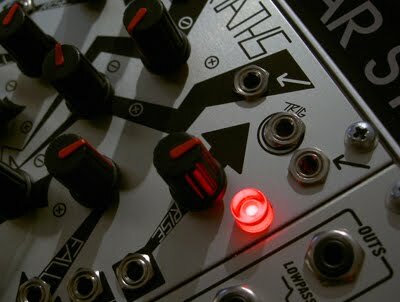 Here's a quick look at - and a rather longer listen to - Doepfer's voltage controlled crossfader. This is my favorite sort of module: small, versatile and inspiring. The two VCAs accept either audio or CVs and can be configured via jumper to cross-fade either asymmetrically or symmetrically. 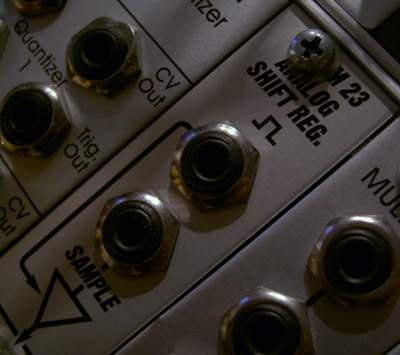 A simple modification turns the A-134-2 into a 4-in 1-out two-dimensional x-fader. 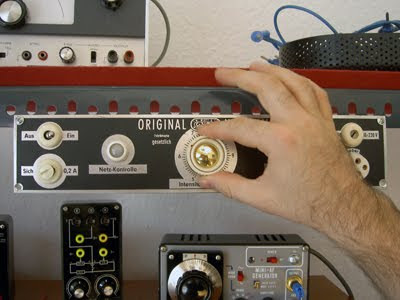 Before I bought the A-134-2, I tried to patch my own crossfader using a Cwejman VCA-2P. While this worked to an extent, purpose-built modules tend to cut down the time spent cabling and yield quicker results. 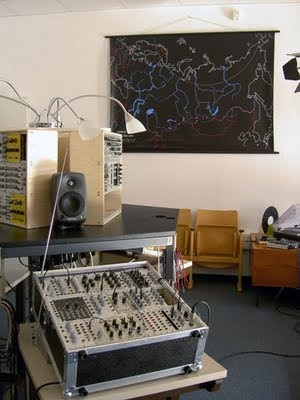 Within a couple of minutes with the Doepfer, I was up and running. 1) Audio fade/ symmetrical. Two VCO sequences. LFO as modulator. 2) Audio fade/ asymmetrical. Ducking effect with envelope follower. 3) FM modulator fade/ asymmetrical. 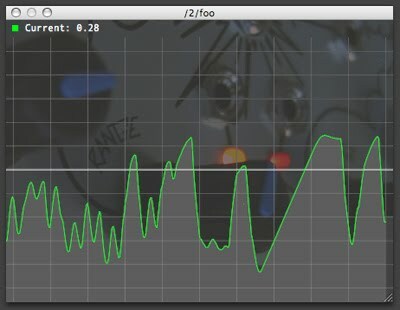 4) FM modulator fade/ asymmetrical. 5) FM modulator fade/ asymmetrical. Provided you don't overload the VCA by applying too high a CF CV, the audio quality is good. I did notice a slight imbalance in one VCA when used asymmetrically (input one was not at unity at 0V, but rather needed about -0.5V), but I'm sure this can be calibrated. When used symmetrically and with 0V applied, inputs 1 & 2 are balanced at 50/50 rather than at full level. This might bother some users. I personally would prefer the option. Due to the nature of fading, I found the A-134-2 more useful for audio rather than CV sources, where I felt a sequential switch might be more appropriate. Fading between audio sequences or FM sources are two obvious uses of the A-134-2. 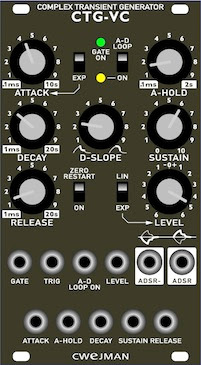 In conjunction with an envelope follower, it's also capable of sidechain/ ducking duties (the A-119's sluggish response adding to the severity of the effect!). I don't have a Wiard Boogie, but I could also imagine that, paired with a joystick, a modified A-134-2 would be great for dynamic vector-filtering. Navs live @ SIN Bar Berlin. Thursday, 21:00. I'll be playing live this Thursday at Stranded in Neverland, Kreuzberg. Decidedly old school and modular-free, I hope to have some fun jamming with a P3 sequencer, Korg ES-1 & EX800 and a Novation Bassstation. Fingers crossed the old tech doesn't crap out on me! First on the bill is one of my oldest friends, Mat, playing a selection of his songs. If you're in town, come along. 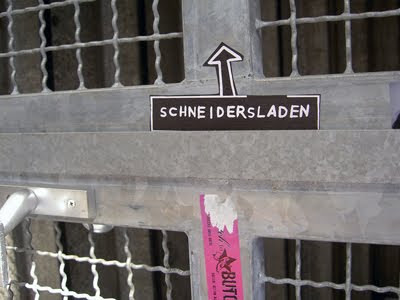 The address is Schönleinstr. 6 10967 Berlin, U-Bhf Schönleinstrasse on the U8. 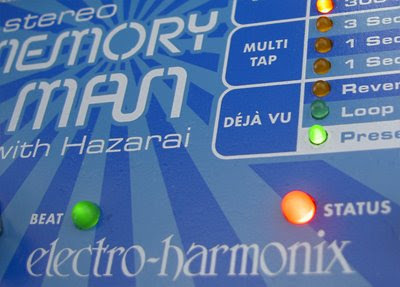 Rechner7's modded EHX Stereo Memory Man with more Hazarai! Following this thread at sequencer.de where ACA describes how he modded his Akai Headrush, I asked Rechner7 how he'd modified his SMMH and he kindly sent me these pictures, sound clips and details. input C is always active and high-pass filtered to avoid a unintentional activation of the loop-mode. the high-pass is just a passive 1-pole high-pass with a cuttoff frequency at about 1-3Hz. 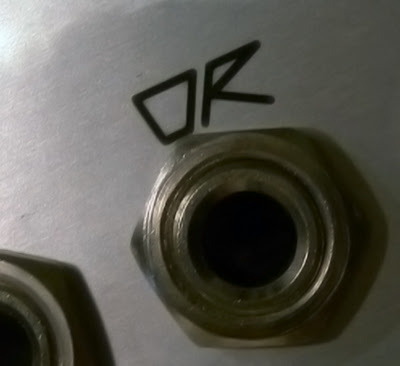 a selective remoted looping can be done with A or B.
using the REC switch is equivalent to an enduring press of the tap button. this function is handy for long and pitchable delays in the loop-mode. the function SELECT activates the additional trigger input A or B.
switching HP A/B to ON enables a high-pass filter. if the high-pass is active, A or B cannot release the loop function. bypassing the high-pass (HP A/B OFF) will activate the loop-mode if the gate length exceeds the threshold. You can download a zipped folder with more pictures, the text and audio examples here (6MB). Thanks to Rechner7 for sharing this! 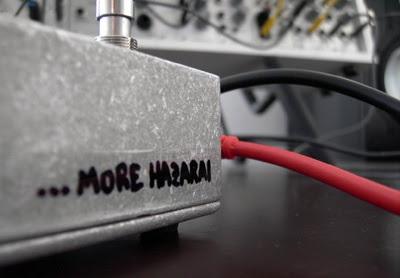 If you want to attempt this simple but Hazarai-enhancing mod, beware: apparently the hardest part is freeing the PCB from the enclosure without breaking it. Neither I nor Rechner7 take any responsibility for your SMMH. Just so that's clear, OK? 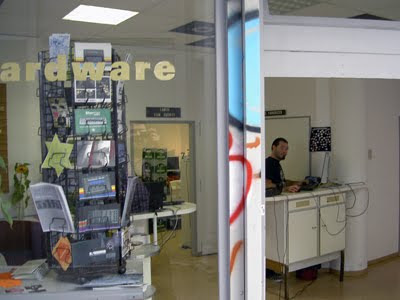 Happy Modding! Weather permitting, I'll start patching at around 16:00 at Parzelle 20 in the 'Hand in Hand' Kleingarten Kolonie in the Rütli Strasse. Full address and details are here. Scroll down to the bottom of the page: I'll be on after the scary-looking bloke with the megaphone! This box is lots of fun and very easy to tweak on the fly. 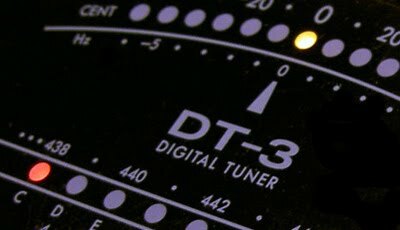 Ironically, probably better suited to modular musicians than guitarists: it's not the sort of device that you should just set and forget. Sadly, it doesn't 'pitch' the delays when the time is adjusted and the tap-tempo function is a PITA (viz Loop Mode), but if you just go with the flow and twiddle the knobs, it's capable of some great sounds. Borg Low Pass. Starts in LPG mode, then manual tweaks. 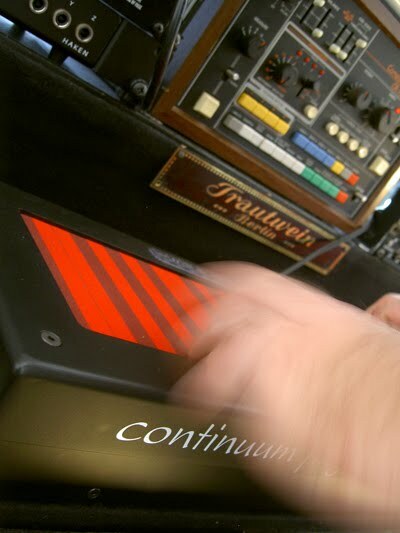 Boogie Modes. EG + sequenced/ random CV of mix relationships (Cwejman VCA-4MX). I also borrowed a Makenoise QMMG to run a quick 'Thwap' test. For some, the gold standard in Euro is still the Plan B Model 13. Decide for yourself. LPG Thwap Test. M13, Borg, QMMG. VCO and envelope were multed to the three LPGs. The Borg, QMMG & M13 all use different vactrols with different response times, so I adjusted the modulation depth until I got a similar timbre. The M13 was used as the 'control' i.e. offset at zero, MD at full. Thanks to Schneidersbuero for the loan of the modules. Second composition in the Music Minute series featuring Flight of Harmony's Plague Bearer and Tom Erbe's Soundhack Delay Trio. 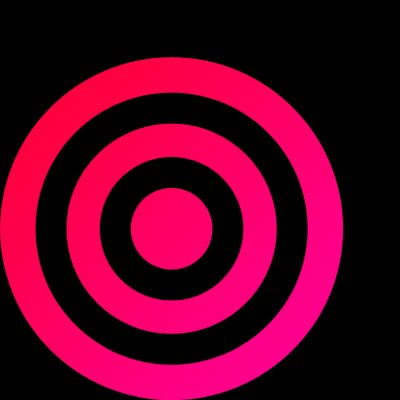 The Soundhack delays generate some unique results. 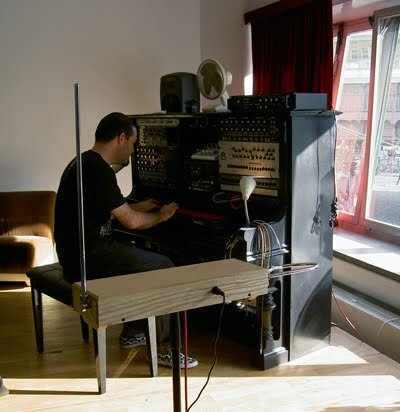 My favourite is the pitch delay which is modeled on the Tempophon or Springermaschine, which you might remember from this post on the TU Berlin Studio. A little too idiosyncratic for my taste, but a good, cheap FSU module. 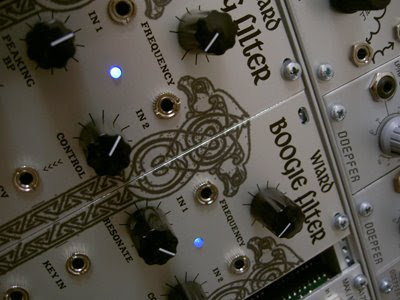 This module is fully CV-able and is capable of a wide variety of sounds - the trigger sensitivity has a marked effect. The overdrive is great, if a little 90's. You can download the zipped folder (12MB) here. Be sure to visit the page for regular updates on coming events. Tomorrow is a public holiday in Berlin, so the next session is on Thursday May 28th at 18:00. 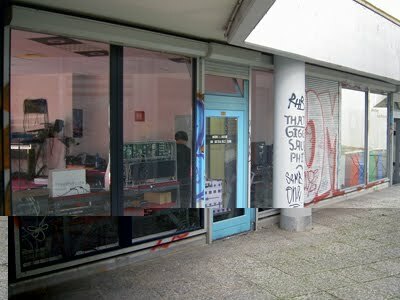 The address is the TU Studio (EN324) Elektrotechnik Neubau, Einsteinufer 17, 10587 Berlin. (S-Bahn Tiergarten or U-Bahn Ernst Reuter Platz). First track in a new series of 60 second compositions. These are tracks featuring multiple takes, a little editing and some effects. In short, anything I can't file under 'Patch of the Day'. Edit: the SC Player didn't seem to be working at time of posting. If it's still not showing the waveform, just click on the 'Cat's Cradle' link above. 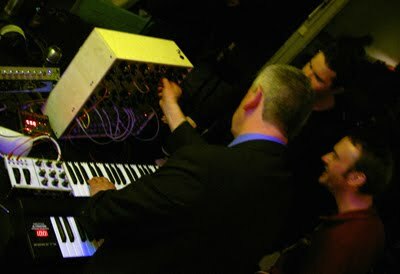 The main parts (random melody & resonant sweep) were generated by a Jomox SunSyn, the occasional bloops, klonks & spurts were generated by a live patch featuring a Livewire AFG, modulated by a Plan B Model 15 VCO. 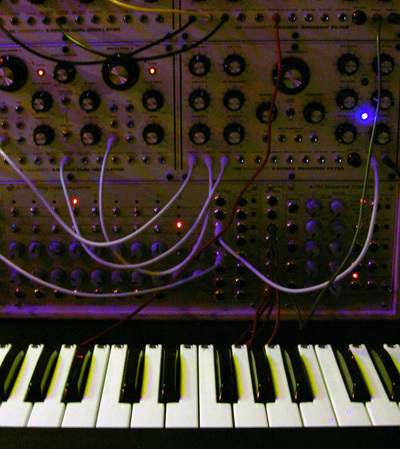 A Wogglebug generated pitch CVs, triggered a Model 10 EG and controlled its Time Base. For the main part, I cross-modulated the SunSyn's VCOs and set LFO1 to generate a random pitch for one oscillator and played the 'melody' by hand. Proof, maybe, that the best source of randomness is the human touch. Modular Bebop. It's going to be huge, trust me. Various random patches generated by the Wogglebug, sampled and played back in Kontakt.